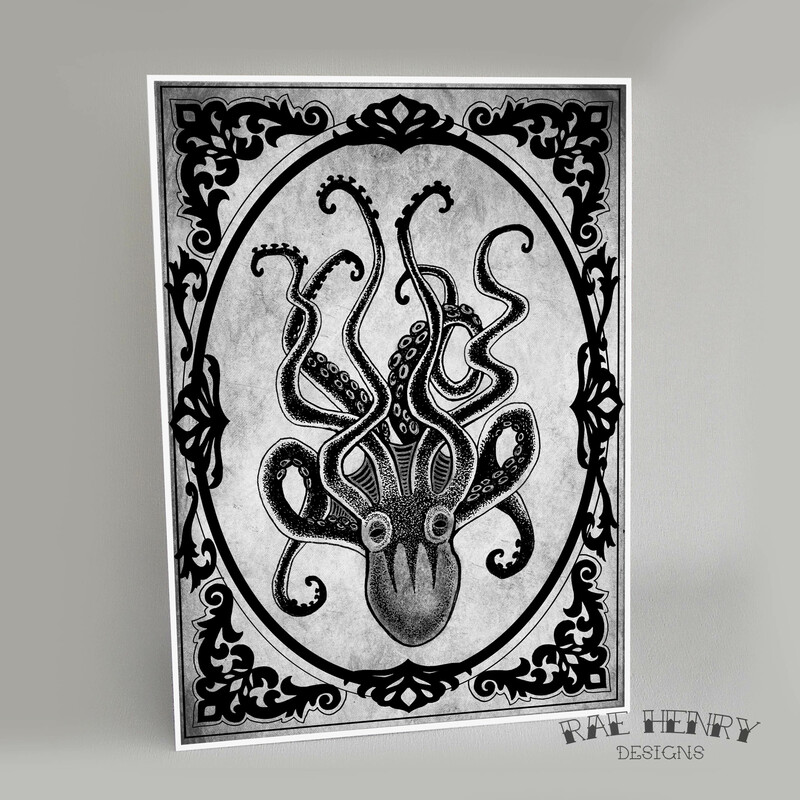 Kraken Art Print perfect for alternative home decor! It would also make a great gift. Featuring an original octopus design with a grey distressed background. 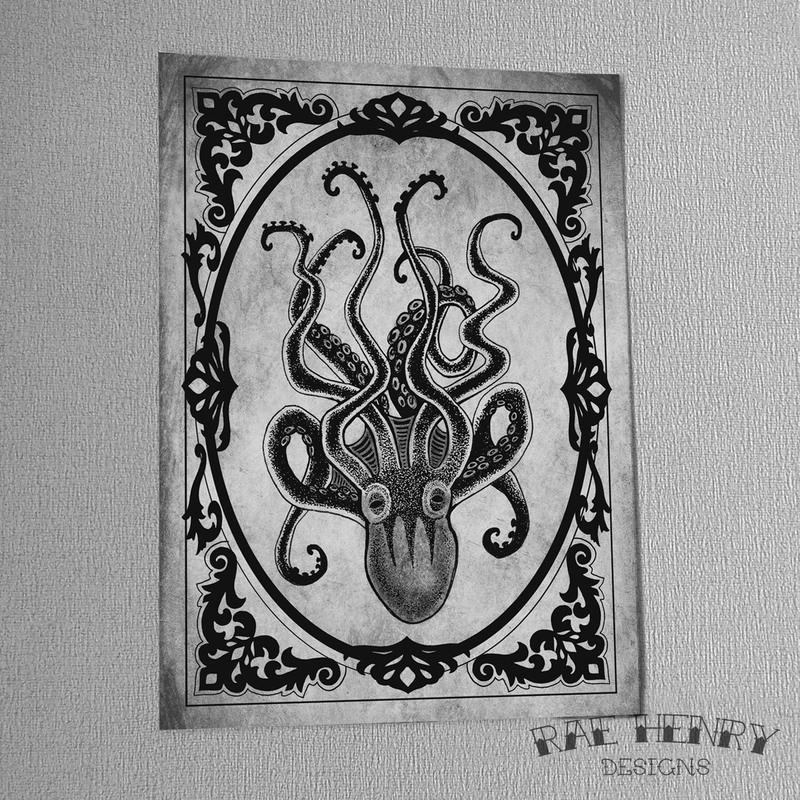 Illustration by Rae Henry, originally drawn in ink, printed onto 300gsm card and supplied flat, unframed, in a protective clear cello bag. A3 size prints have a white border around the edge measuring approx 4mm.